I had so much fun last night that I decided to do the same type of design tonight. 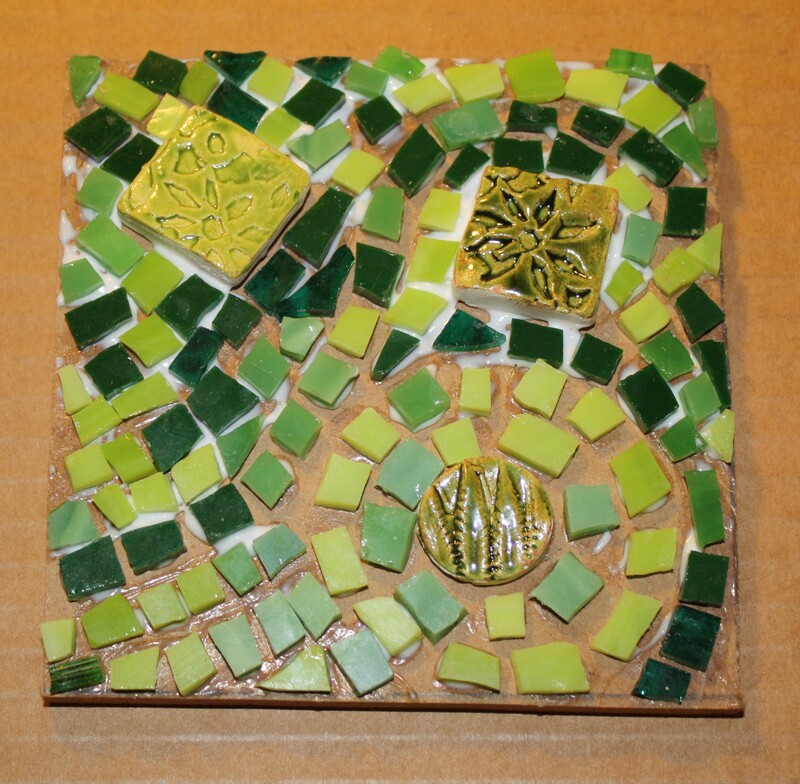 This time I used a few ceramic tiles that I made along with cut glass. I chose green because I always fall in love with green in the spring and summer. Every year I’m amazed that there are so many different shades of green. Beautiful!